The R&S®TS9982 is the base system for conducted and radiated EMS measurements. Due to its modular design, it covers a wide range of applications and can be very easily adapted to the measurement task at hand. 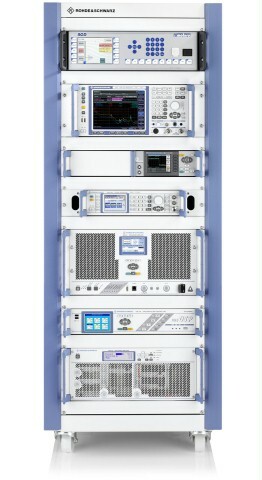 The R&S®TS9982 is the base system for conducted and radiated EMS measurements. Due to its modular design, it covers a wide range of applications and can be very easily adapted to the measurement task at hand. Any configuration is possible – from conducted measurements and the small precompliance system with a compact test cell to the accredited test system for complete motor vehicles with 200 V/m. Nor do combinations of different applications or incremental expansion present a problem. All test systems are controlled by R&S®EMC32 EMC test software with its various capabilities like extensive EUT- and system monitoring. From system design and implementation to installation and training, these turnkey systems and our EMC experts provide everything from a single source.